How many Oboe players does it take to screw a light bulb? How many to make one? Think of the world as an embryo. Each cell starts off being an exact replica of the others, all containing the same genetic information. As the world grows, it becomes more complicated, and so as the number of cells keeps increasing, they slowly start to differentiate from each other, developing specific functions that allow the organism to survive given its new size. Think of yourself as a cell. You are born into an already grown world that has required its inhabitants to specialize their skills in order to ensure its own survival. You spend the first fifteen years of your life learning generic concepts, only to pick a few that you would dig deeper into during the next ten years or more. Your basic set of skills and knowledge grows in all areas at first, then starts to shrink back in all but your area of specialization, and so, you join the rest of the working population, in maintaining the functions of an ever changing machine that in turn provides you with all you need to survive, and more. Think about food. How does it really get to your plate ? If you cooked it, then you should wonder how every single ingredient made it to your kitchen. Essentially, these issues are abstracted to you, and all you must know is where the closest grocery store or restaurant is. If you were a farmer, you would probably know a thing or two about how it is that vegetables grow, or perhaps how cows are raised, and how they are eventually sold as meat. But if you were a farmer, you probably should ask yourself how it is that every time you turn on the television, you get so many channels to choose from, and how you get the electricity to turn on the television in the first place. Think of the world as a human body. A stomach knows its job rather well, but it knows virtually nothing about how the kidney works. All it needs to know is that the kidney is doing its job well enough to allow the whole body to survive. The only difference between a human organ and the set of all people with a given set of skills is that the organ cannot make decisions on its own, and therefore is highly dependent on the brain. To conform to our analogy, the food sector industry would be equivalent to a human stomach and a part of the brain that controls it. Think of a light bulb. Think of all the people who make light bulbs. You probably just thought of absolutely no one. Why ? 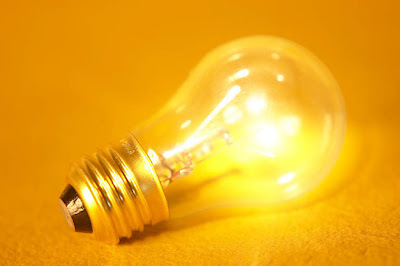 Simply because most common light bulbs are manufactured by machines. There are humans operating these machines, maintaining them, but none of which possess the required skill set to make a light bulb with their own bare hands. Of course I might be wrong. So think of more than just the light bulb. Think of technology. Think of all the advancements it has allowed us to achieve, and think of all the knowledge we have allowed ourselves to let go of, and surrendered to machines. There are cars that parallel park for us because we are too lazy to learn how to do it right. Pretty soon there will be cars that can tell if you’re drowsy, drunk or distracted, and make a decision to pull you over. Think of all the freedoms and decisions we lose because we are not responsible enough to make the right ones when they matter. This isn’t about how monstrous technology is, because it isn't. Think about how stupid we are. hey fadi, nice page man. keep it up. i just need to comment that in all your articles, you tend to state problems, without proposing any solutions. i think that taking your ideas beyond mere observations, and giving your take on how you think every matter should be solved, would make them even more interesting. and i think that in that newest article particularly, your point is too vague. saying that people are stupid is a bold statement, and it's too general, even if you're only talking about a specific subject matter (technology). yalla good luck. keep'em coming..